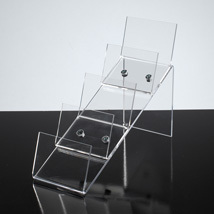 Keep your Purses or Wallets organized! 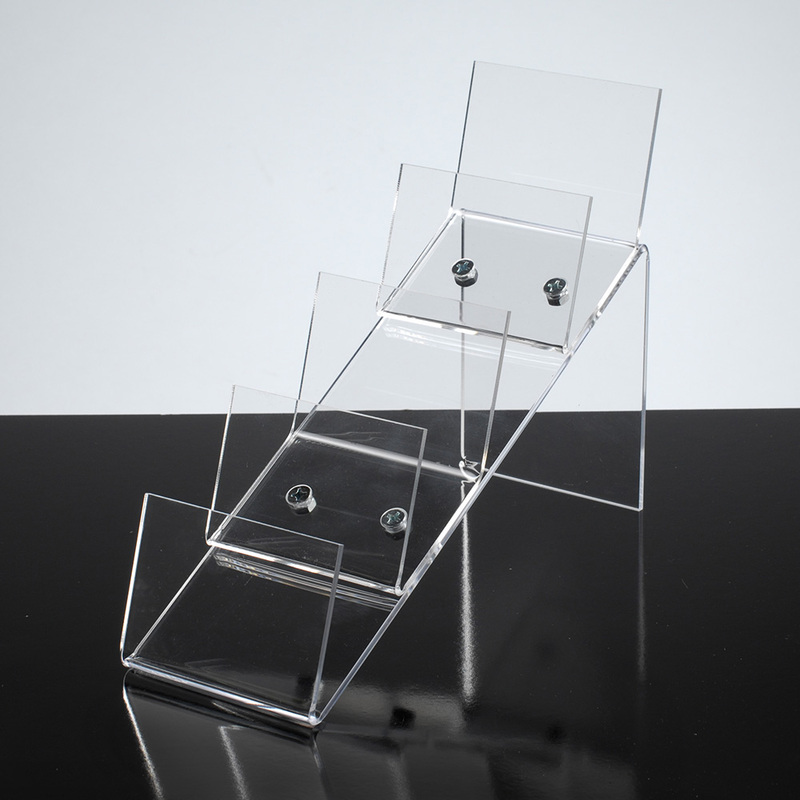 This acrylic clutch bag display can hold up to 4 clutch handbags or wallets. 2 in. between tiers. Compact.